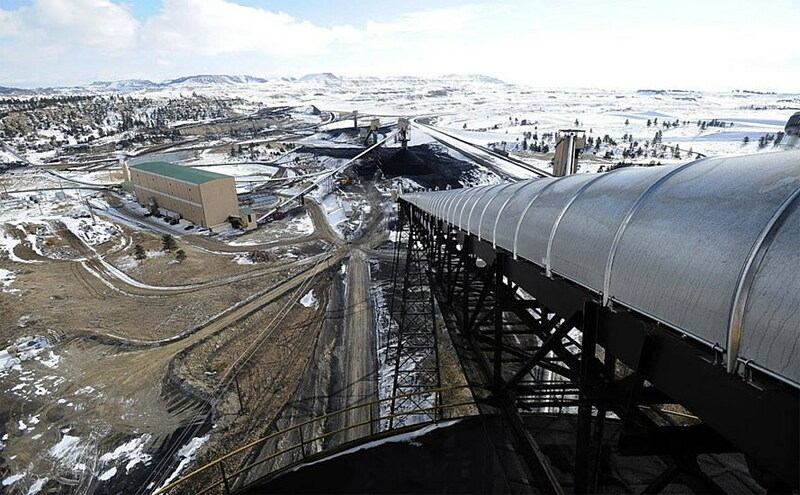 Watchdog groups are suing the federal government for failing to follow a court order to reassess how a Montana coal mine expansion might harm water and the climate. This week, the Sierra Club, 350 Montana and WildEarth Guardians joined the Montana Environmental Information Center in a lawsuit alleging that the U.S. Office of Surface Mining once again rubber-stamped an expansion of the Bull Mountain Mine proposed by Signal Peak Energy. The lawsuit asks the Missoula federal court to once again find that the Office of Surface Mining failed to conduct a proper environmental assessment of the proposed expansion. Therefore, the Bull Mountain expansion should be put on hold until OSM employees fulfill their duties as required by law. Signal Peak Energy bought the Bull Mountain mine near Roundup in 2008 and applied to the Bureau of Land Management to mine coal under 2,700 acres of federal land adjacent to the mine. The federal lease would allow Signal Peak to access other coal deposits under nearby state and private land using a process called long-wall mining. After Signal Peak opposed a more extensive environmental impact study, the BLM finished an environmental assessment in 2011 and approved the lease with the rationale that it would meet U.S. energy needs. But by 2014, 95 percent of the coal was being shipped overseas, according to the lawsuit. After administrative challenges failed, MEIC and others sued. In August 2017, Missoula U.S. District Judge Donald Molloy found that the government’s 75-page environmental assessment was inadequate because it over-estimated the economic benefits of the mine and downplayed the environmental costs associated with climate change. Molloy blocked the company from any mining under federal land until a new environmental study was completed. Signal Peak protested, prompting Molloy to agree to hear their arguments in November 2017. As a result, Molloy said Signal Peak could begin tunneling but could not mine any coal until the environmental study was done. Four months later, OSM issued a draft EA and then took two months to decide no environmental issues were raised. The final report came out in August and the expansion was approved. Around the same time, the Trump administration released its “Affordable Clean Energy” rule. Under Trump’s plan, coal plants that would have been forced into retirement under President Obama’s Clean Power Plan could instead continue operating indefinitely, with only modest modifications. Hedges said the 2018 environmental assessment wasn’t much different from the original. She noted the OSM substituted the word “impacts” in place of “benefits” in a few places and then claimed it didn’t have to analyze the corresponding costs as a result. Also, the hurried process caused the OSM to fail to meet many requirements of the National Environmental Policy Act, including notifying stakeholders of decisions and formalizing the information in the Federal Register. According to the lawsuit, the environmental assessment fails to consider how burning coal adds greenhouse gases to the atmosphere, thus worsening climate change. Also transporting the coal will require an added 3 trains a day passing through Montana to Pacific ports for nine years. The assessment fails to consider human health problems caused by open coal cars expel an estimated 100 pounds of large and small particulates per mile. Finally, the OSM ignored the effects of miles of back-to-back tunnels on the groundwater near Roundup. Already four of five springs above existing tunnels are putting out less water and two of those are dry, according to the lawsuit. The lawsuit also notes a Russia connection that might affect the mine. Pinedale LLC – which bought a one-third interest in the mine in 2011 – is a subsidiary of the Gunvor Group, an international commodities trader. In 2014 when it announced Russian sanctions, the federal government claimed Vladimir Putin has substantial investments in Guvnor, although Guvnor denied that Putin owns part of the company. Calls to Signal Peak weren’t returned by press time.